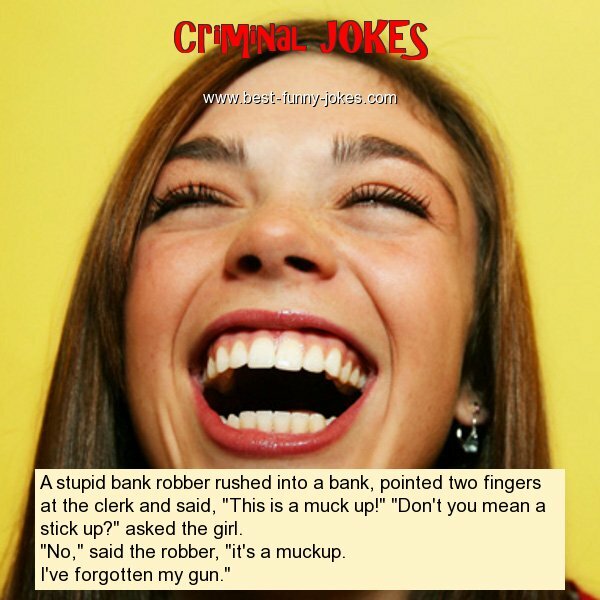 A stupid bank robber rushed into a bank, pointed two fingers at the clerk and said, "This is a muck up!" "Don't you mean a stick up?" asked the girl. "No," said the robber, "it's a muckup.